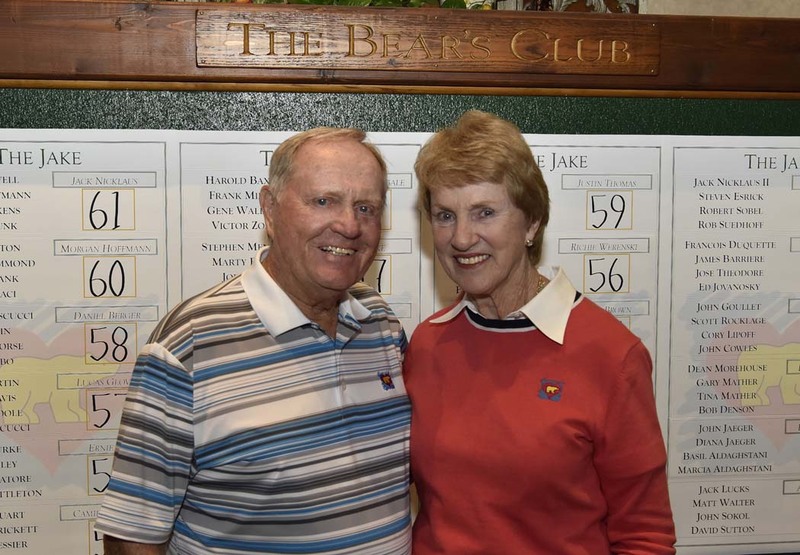 The Jake, the Nicklaus Children’s Health Care Foundation’s largest annual fundraiser, was held on February 19 and 20 at The Bear’s Club in Jupiter, Fla., during the week of The Honda Classic—played at the nearby PGA National Resort & Spa. The tournament raised over $2.9 million dollars to help aid the Foundation’s mission to “be where the children are” and to provide world-class pediatric health care to children in need. On the course, Andy North’s foursome also broke records, coming in with a final score of 49. Nicklaus Children’s Health Care Foundation co-founder Jack Nicklaus highlighted the field. Other PGA TOUR stars who participated were Daniel Berger, Keegan Bradley, Scott Brown, Jon Curran, Luke Donald, Jason Dufner, Ken Duke, Ernie Els, Rickie Fowler, Lucas Glover, Branden Grace, David Hearn, Morgan Hoffmann, Smylie Kaufman, Brooks Koepka, Anirban Lahiri, Jamie Lovemark, Patrick Rodgers, Brendan Steele, Justin Thomas, Cameron Tringale, and Camilo Villegas.